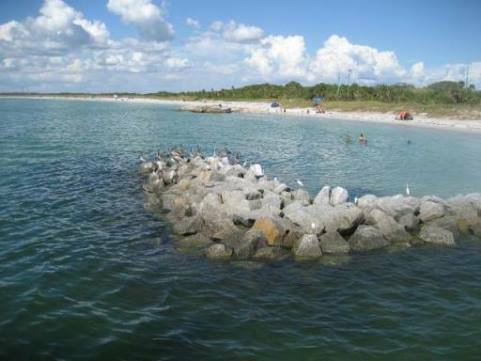 Fort DeSoto Park is a Pinellas County park, covering over 1,100 acres on 5 keys south of St. Petersburg between Tampa Bay and the Gulf of Mexico. Excellent paddling is available at this popular park. Rentals are also available. Detailed map and photos below. Launching from the outfitter or from several access points along the road, the 2.25 mile marked trail (round trip) is an easy paddle. More experienced paddlers can venture out onto the Bay or Gulf, paddle to Egmont Key, or paddle the full 10 miles around Mullet Key. Here, on larger water, wind, currents and tide are more challenging. No shade, so plan accordingly. Wildlife included fish, many species of birds, sea turtles, manatees and dolphin. We launched our kayaks from the access next to the outfitter and paddled around the marked trail to Mullet Key Bayou. The trail starts in a protected inlet (Soldier Hole) - an easy paddle - and follows a mangrove-lined creek for about a mile, where it rounds an island fronting the 4 sq. mile open lagoon (Mullet Key Bayou) and returns. Unlike the rest of the lagoon, this area typically offers good shelter from the wind. 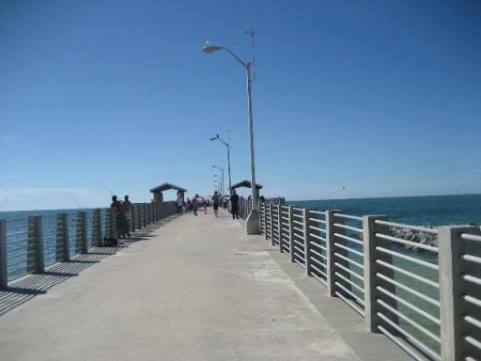 Fort DeSoto Park features include a 7-mile bike trail, nature trails, 7 miles of waterfront including several beaches ranked among the best in the country, campgrounds, playgrounds, snack bars and gift shops, a museum, picnicking, fishing piers, and a dog park. 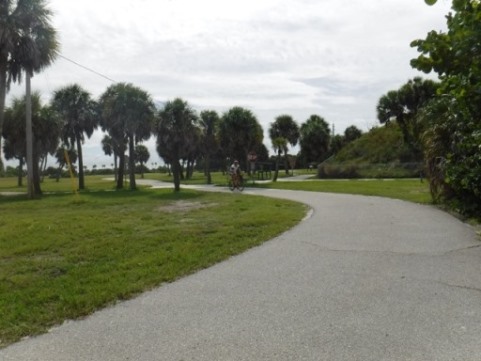 Restrooms and ample parking are available, plus a boat ramp, kayak and bike rentals, and the historic fort. 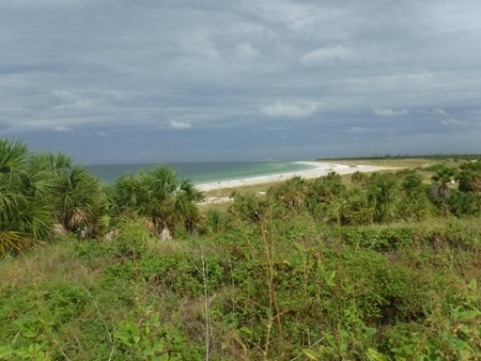 A ferry runs to Egmont Key, a Florida State Park. Day fee applies. 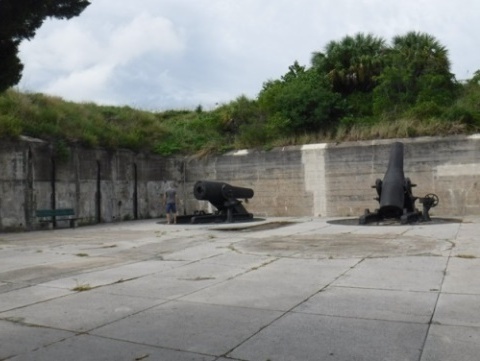 Historic Fort DeSoto dates from 1898, built to defend Tampa Bay during the Spanish-American War but it never saw battle and was abandoned in 1923. The land was obtained by Pinellas County in 1948 and the park developed. Visitors at the fort can see the remaining battery and mortars.